9ct yellow gold 17" rope style pendant featuring gold rope tassels. A vintage style necklace with a long length making it perfect for long vests and blouses. 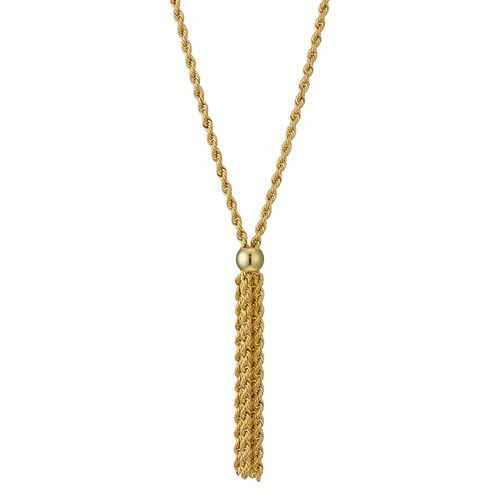 9ct Yellow Gold 17" Rope Tassel Necklace is rated 1.0 out of 5 by 1.